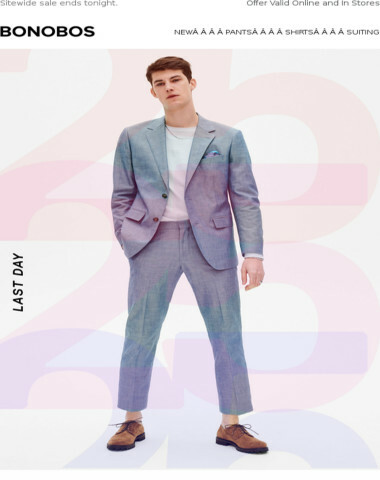 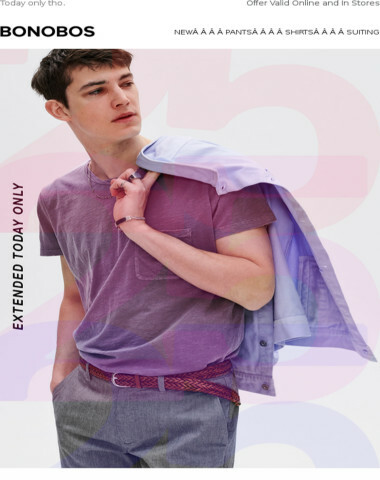 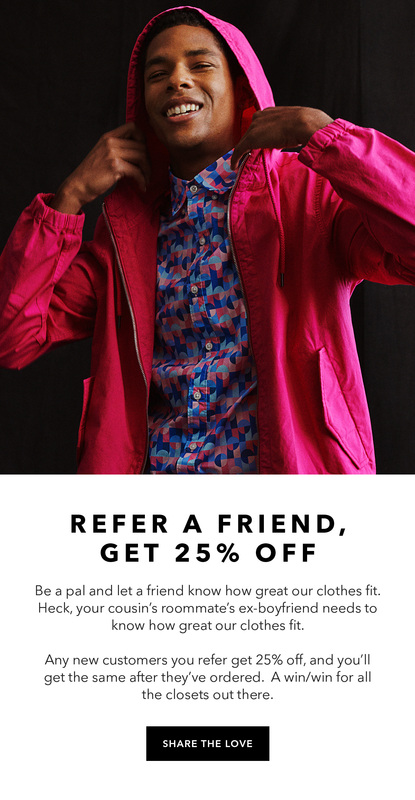 Bonobos - Refer a friend, get 25% off ? 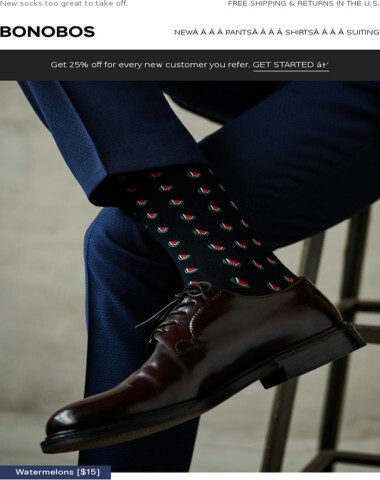 Get 25% off for every new customer you refer. 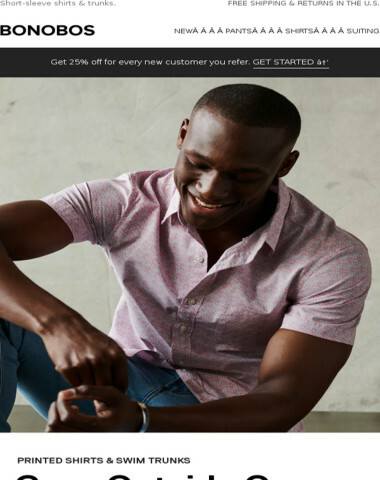 FREE SHIPPING &RETURNS IN THE U.S. 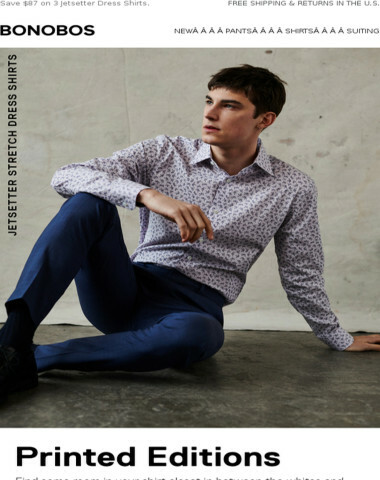 This email was sent to newsletter@in.fashionhauler.com. 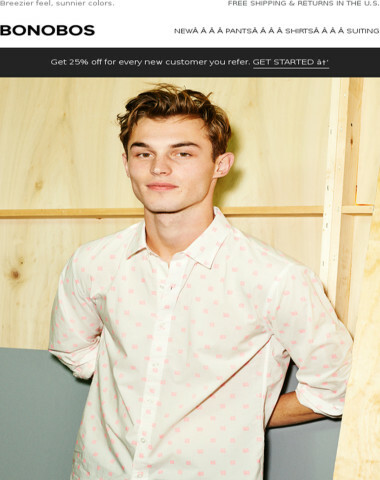 If you no longer want to receive emails from us, you can unsubscribe. 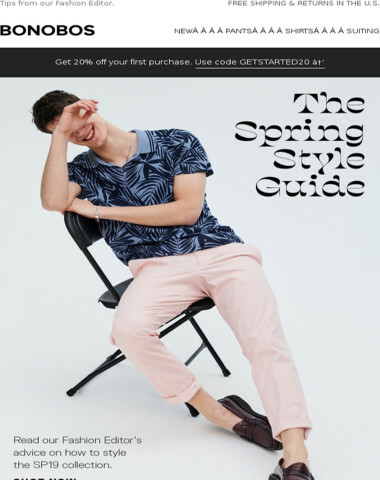 Take notes: It’s the Spring Style Guide? 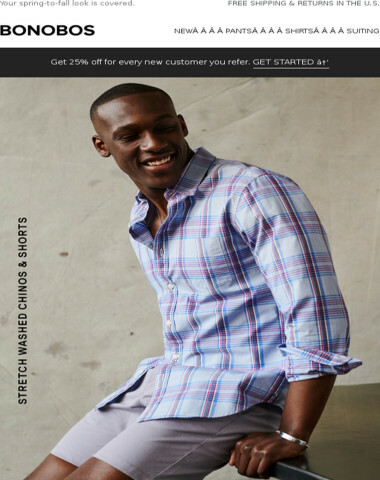 We bet you need new shorts. 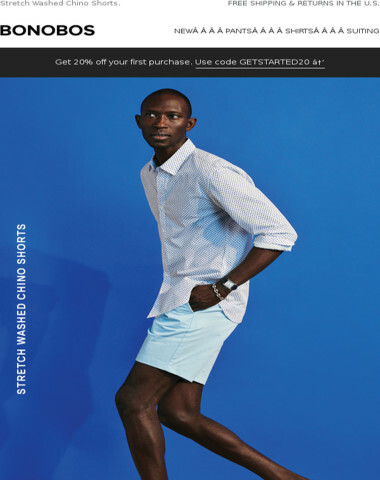 The rumors are true...shorts are here. 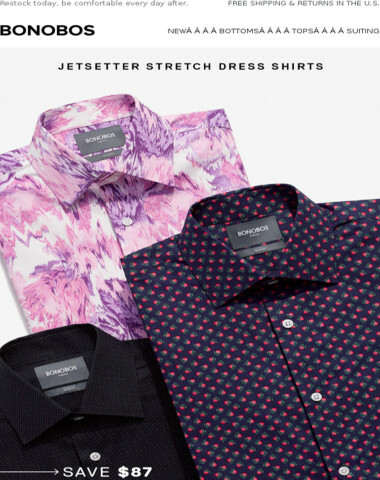 Happening now: $87 off three Jetsetter Dress Shirts.